Scientists Have Discovered Another Earth With Probable Life! NASA has discovered another Earth-like planet orbiting a nearby star within the habitable zone using the Kepler Space Telescope. 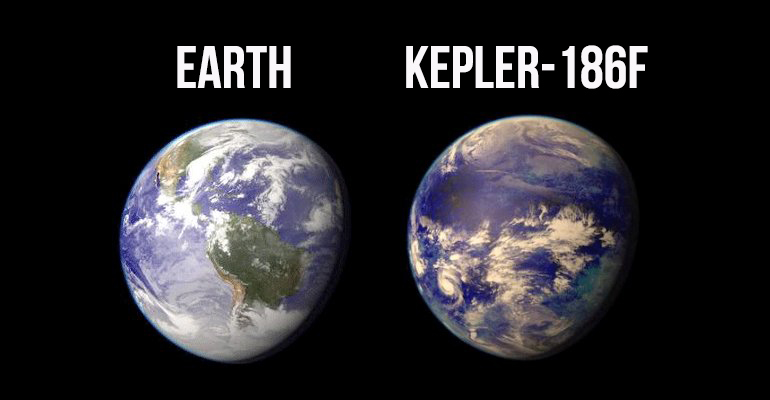 Labeled as Kepler-186f, it is about 500 light-years away from us in the Cygnus constellation. “The habitable zone” has also been referred to as the goldilocks zone. This zone is the region around a star, within which planets with proper atmospheric pressure are capable of supporting liquid water on their surfaces. It is estimated that there are at least 40 billion Earth-sized planets within the Milky Way, but this planet they’ve just discovered is the first Earth-sized planet to be discovered in the goldilocks zone of another nearby star. This entry was posted on Sunday, April 12th, 2015 at 10:20 am and is filed under Uncategorized. You can follow any responses to this entry through the RSS 2.0 feed. You can leave a response, or trackback from your own site.